A lively fall-driven color scheme brings to life one of the most unique looks yet for the popular SB Eric Koston 2 pro model. 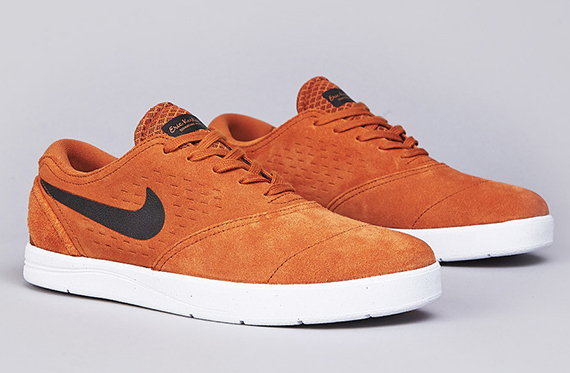 Eric Koston's well-received pro model works with a full suede build for everyday skate use over a Lunarlon equipped rubber sole. Perfect for the beautiful fall season, Nike Skateboarding's colors team hit these with 'Cider' colored upper and black Swoosh logos, while white contrasts below. Look for these soon at authorized Nike SB accounts.